Cindy Bruna – French Top Model. Cindy Bruna’s Instagram handle is @cindybruna and her Twitter handle is @realcindybruna. You can follow her on Facebook at @CindyBrunaOfficiel and her Snapchat is cindybruna. Cindy Bruna could be any other 22-year-old posting Instagrams of herself. In 2012, Bruna became the first model of color to walk exclusively for Calvin Klein. She made her debut at the Victoria’s Secret Fashion Show in 2013, and wowed audiences with her style and grace. She has appeared on the cover of many publications. 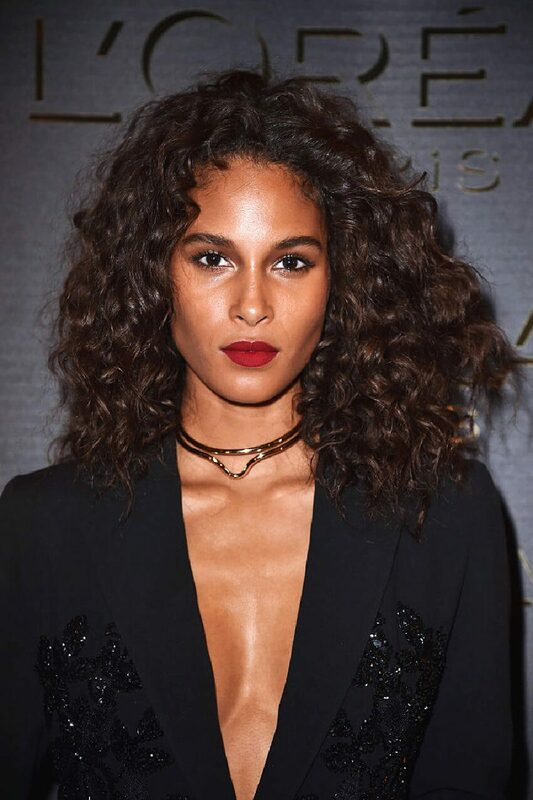 Cindy Bruna has appeared in more than 100 fashion shows and has modeled for prestigious fashion labels like Alexander McQueen, Chanel, Donna Karan, Elie Saab, Giorgio Armani, Givenchy, Jean Paul Gaultier, Moschino, and Topshop. French model Cindy Bruna is a favorite of casting directors and designers around the world. Today she has more than 100 fashion shows to her credit. One model who has already made it big, and is considered to be among the 50 top models of the world, is Cindy Bruna. Cindy Bruna is a French model born to an Italian father and a Congolese mother. she was one of three French models to walk in the Victoria’s Secret Fashion Show, which took place in Paris for the first time ever the last year, and was broadcast on CBS. Cindy Bruna is represented by some of the best modeling agencies in the world like Wilhelmina International Inc., Metropolitan Management, and Elite Management. She has a special relationship with the Metropolitan Management agency in France, who discovered and groomed her to be the model she has become. Today the Victoria’s Secret Angel is in so much demand that model agencies are fighting each other to sign her up.